Don’t feel like celebrating #CincoDeMayo at home this year? Here are some great options if you plan on going out! Combine, mix, serve, and enjoy! 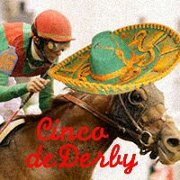 Celebrate Cinco de Mayo or better yet Cinco de Derby at Jacques 1534 and enjoy $10 select cocktails including Fishermans Julep, El Diablo Loco, or Uptown at The Pitch & Fork with $10 Mint Juleps and Margaritas! Come sit, relax, and sip on the rooftop at Social Bar & Grill they will have $20 Corona buckets & $5 Margaritas to celebrate. Upper West side restaurant Amigos (2888 Broadway) is the perfect place to celebrate Cinco de Mayo with your amigos! And there are more than enough options for every taste and mood: the Bull Dog, a frozen margarita with a Corona; the Mexi-Cali Lunazul tequila, Cointreau, and fresh lime juice; a Hot Tamale with Corralejo Reposado tequila, fresh jalepeno, lime juice, mango, and a chili salt rim; Los Amigos with El Mayor Plata tequila, Barenjager honey liqueur, and cinnamon orange garnish; and the El Gallo Avion Plata tequila, passion fruit liqueur, and lime juice. Crystal Springs Resort (1 Wild Turkey Way, Hamburg, NJ) is celebrating Cinco de Mayo on Sunday May 5 with a free tequila tasting, a special Mexican-inspired menu and signature cocktails at Crystal Tavern. From 1pm – 4pm, representatives from Patron tequila will be pouring free samples of Patron Silver, Reposado, Anejo, XO Café and Citronge, and giving away free gifts. 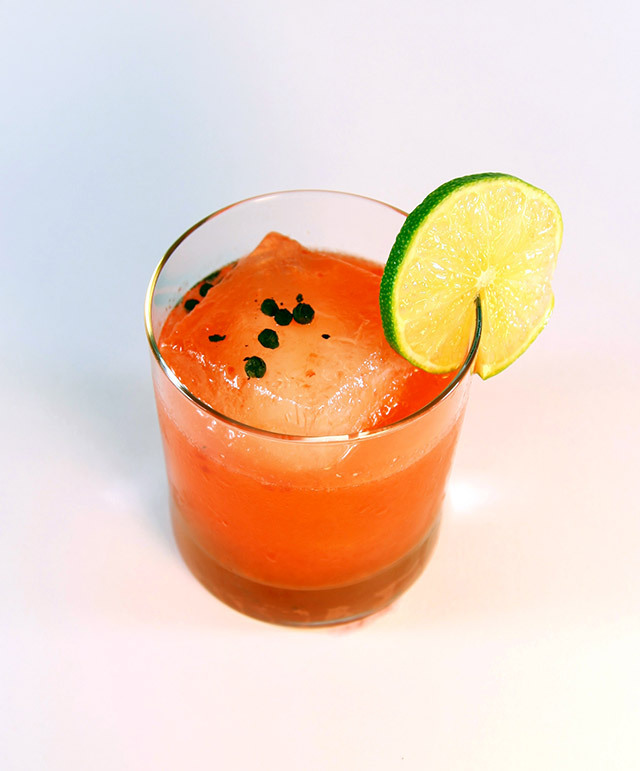 All day, Crystal Tavern will serve special cocktails and a menu of Mexican favorites in addition to the regular a la carte menu. Cocktails ($12) include Cilantro Julep Patron Anejo, fresh lime juice, pineapple juice, amber agave nectar and cilantro leaves; Ginger Lemon Spice Patron Silver, Patron Citronge, simple syrup, fresh ginger, fresh lemon juice, pineapple juice; Mexican Espresso Martini Patron XO Café Dark, Patron XO Café, espresso; Sweet Orange Patron Reposado, Cointreau, fresh lime juice, simple syrup, bitters; Pina Coronado Patron Silver, fresh lemon juice, pineapple juice, elderflower liqueur, vanilla/cinnamon syrup. Cheers! Feliz Cinco de Mayo! The first recipe I want to share with you is a “frittata” that I made for an annual New Year’s Day brunch with my family. It’s a baked egg recipe filled with fresh veggies and delicious spices. Don’t let that scare you, though! I have step by step instructions (plus photos) for you to follow. If you have never cooked a spaghetti squash, stay right here. If you have cooked spaghetti squash, scroll down a bit. I recommend cooking the spaghetti squash the day before making this. Shred the entire thing and put it in a large tupperware in the fridge. It makes the recipe a lot faster if you have the squash ready beforehand. Using a sharp knife, stab the spaghetti squash a few times so that it can “breathe” while it’s cooking. Then use a fork and start “shredding” the inside. Notice how it becomes stringy like spaghetti? Preheat your oven to 350 degrees. Lightly grease your baking tray. In a bowl, scramble your eggs. Then add in spices. Mix and set aside. Grate your zucchinis while letting 1 tbsp of olive oil heat in a skillet. In your skillet, “stir fry” your spinach and zucchini until the spinach is wilted. It will shrink down A LOT…that’s okay! Mix in your spaghetti squash so that the veggies are nice and tossed. In a lightly greased tray, layer the bottom with your veggie mix. Then, if you want to use mozzarella, add a light layer. Add the rest of your veggies above the cheese. Pour your egg mixture over the entire tray. Do this slowly because it will take a few seconds to seep in. If desired, add another layer of cheese. Put it in the oven until the top is golden brown. It will take about 30 minutes. To make sure it’s cooked entirely, stick a toothpick in the middle of the frittata. If it comes out clean, it’s done. #SCBD Last Minute New Year’s Specials! Riverpark will celebrate the new year with tasting menus and big-band music performed live by Gerar Carelli & his orchestra. Menu offerings will include smoked sturgeon carbonara with caviar, veal loin with sweetbread, cauliflower & black truffle and gingerbread baba au rhum. Guests at DBGB can ring in the new year with a complimentary champagne toast while enjoying celebratory dishes such as oysters and whole roasted Amish chicken for two from chef Collins’ a la carte menu. Telepan will offer a festive three-course prix fixe menu from 5-6pm: great for dinner before going out to celebrate the New Year with friends. Then, from 7:30-8:30pm, guests can enjoy a four-course meal featuring caviar, black truffles and some Telepan favorites. To end the evening from 9 – 10:30pm, a celebratory Champagne toast accompanies the four-course dinner. The Americano (518 West 27th Street, 212-525-0000) is holding a stylish New Year’s Eve party — the Masquerade Ball, complete with dinner and dancing. Guests are encouraged to wear black and white for the bash, which pays homage to the costume parties that were all the rage in France during the 15th century. The design of the restaurant perfectly embodies the party’s sleek theme: Black banquets give The Americano an air of sophistication, while high ceilings, large light fixtures and floor-to-ceiling windows accentuate the light-filled room. And The Americano’s New Year’s Eve tasting menu is just as stunning as the décor, featuring Executive Chef Joseph Buenconsejo’s exquisite French fare with a Latin flair. Neely’s Barbecue Parlor (1125 First Avenue, 212-832-1551) on the Upper East Side will transform into a cabaret-meets-saloon, hosting a raucous Barbecue and Burlesque party with seatings at 6 pm, 8 pm and 10 pm. Expect skilled dancers clad in lace corsets, feathered boas and ostentatious make-up, Red Velvet Martinis, surround sound music blasting Big Bad Voodoo Daddy hits, the song “Lady Marmalade” and more, and an awesome barbecue buffet. Dining highlights include a house-smoked ham carved to order, smoked onion hush puppies, roasted corn arugula salad, peach cobbler and much more. And of course, a champagne toast at midnight. Brunch and dinner will be offered on the first day of 2013. Guests can choose from the classic prix-fixe or a la carte brunch menu of specialties such as croque monsieur, warm ricotta crepes and eggs florentine. Those looking for a sweet finish to the meal can order pastry chef Mymi’s cafe gourmand selection, featuring one coffee drink or tea, a scoop of ice cream, sorbet or gelato and a pastry bite for $9. China Latina (127 West 28th Street, NYC, 646-397-9881) will serve brunch featuring Executive Chef Julieta Ballesteros rendition of the ultimate hangover cure, Chilaquiles: Tortilla casserole, shredded chicken, tomatillo, red salsa, Chihuahua cheese, refried beans with 2 poached eggs ($16). You’ll also find dishes like Huevos Rancheros ($16) with pork belly and a Breakfast Quesadilla ($14) with both bacon and chorizo. Have fun and be safe ringing in 2013 wherever you will be! #StayTuned #SCBDRelaunch & #SCBDLaunchParty this Saturday, May 11th! #SCBDExclusive: Mother’s Day Dining Destinations! #SCBDFavorite: Get an ‘exquisite’ color & cut at Xquisite in Hoboken! #SCBDExclusive: Highlights down the #Shore at The Style Room! I hope to inspire others and stay motivated!